You rely on your pump to get the job done. But if it’s not properly cared for, it might not be ready to run the next time you need it. Several preventative maintenance plans say to perform maintenance every day, but really, the pump only needs to be inspected before each use. 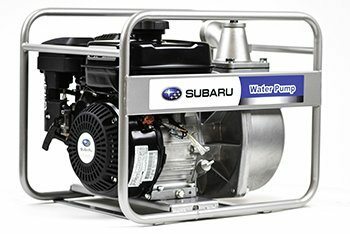 An improperly cared for pump might not be ready to run the next time you need it. the pump’s engine won’t run properly, which affects the overall performance of the pump. If levels are low or oil looks thick, add or change the oil. Next, check the gasoline levels. Fill the tank full, or at least full enough for the day’s usage. Be sure to check for fuel or oil leaks. Check the air filter to make sure it’s not dirty, clogged or bogged down with water. Not only does this cause a loss in power, but it can shorten engine life and open the door to damage by letting dirt, debris or water get into sensitive areas. If the filter is foam and needs to be cleaned, wash it with warm soapy water, adding a dab of oil to it before placing it back in the pump. To clean paper filters, lay it on a hard surface and brush away dirt and dust. If a filter is damaged or deteriorating replace it. Next, inspect the hoses. If they are worn or have any holes or leaks, the air gaps will cause a loss in suction and hinder performance. Patch any holes or leaks that you can. If the hose is severely damaged, replace it. Lastly, check to make sure all nuts and bolts are tight and secure and replace any that are missing. Once you’ve completed these preparation steps, you’re ready to start pumping. There are still a few things that should be done on a semi-regular basis, though. Conduct a monthly inspection of the air filter to make sure it’s in tiptop shape. This is likely the time when you will find yourself replacing it if you have a paper filter or older foam filter. New washable foam air filters don’t always need to be replaced, just cleaned. Check the spark plugs monthly or semi-monthly, depending on frequency of use, to make sure they are not dirty or corroded. Tainted spark plugs decrease power and starting performance. 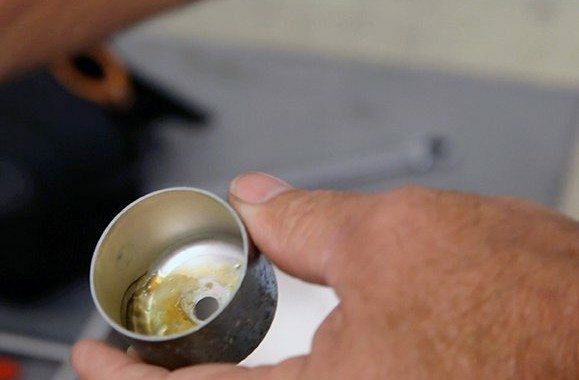 Use a wire brush or spark plug cleaner to remove oil, dust or carbon buildup from the spark plug, and immediately replace a spark plug with cracked porcelain. Once a year, complete a thorough inspection of the pump for dirty, broken or misaligned parts. This is time consuming, but necessary. It’s important to see what needs to be cleaned or repaired from everyday wear and tear. Special note: If storing the pump in dusty conditions, you’ll need to conduct routine checkups and maintenance more often. Extreme dust can clog filter elements or contaminate fuel and oil. Even if you follow daily and routine maintenance plans to a T, pumps will undoubtedly experience problems and breakdowns. Though you won’t be able to predict when breakdowns are going to occur, you can be prepared and know how to fix issues that might arise. If your pump won’t start, it’s likely an impeller or engine problem. If the impeller is sticking, disassemble it by taking off the pump cover, cleaning it and then reinstalling it. If it’s the engine, there are several different issues that could be the culprit. Check out our engine maintenance blog for tips on troubleshooting your small engine. Also check to make sure that nothing is wet or that fuel hasn’t leaked into the spark plug chamber. 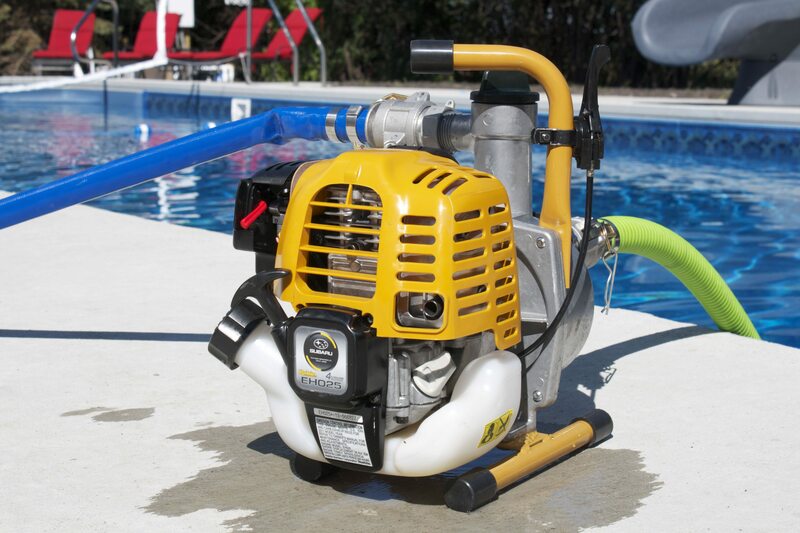 If the pump is not self-priming, check to make sure there are no air leaks on the suction side of the pump and tighten the suction hose or pipe, if needed. Also, make sure the drain plug is tight enough. Insufficient water inside the pump will prevent the pump from priming. Preforming preventative maintenance isn’t something most people enjoy. But if you keep up with it now, you’ll have fewer issues later. Have any tips we didn’t mention? Share them with us using #PumpOn. 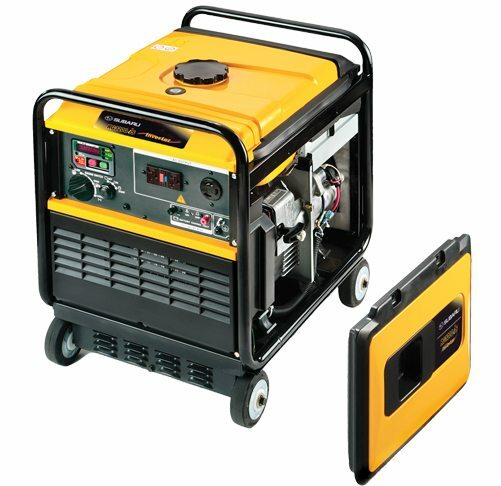 What Makes Inverter Generator Technology So Quiet?